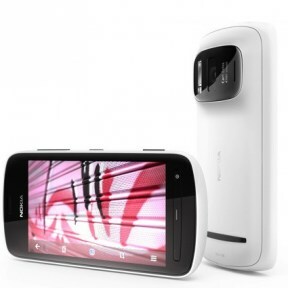 The obvious bad thing here is the thing’s size — the 808′s thick body certainly makes it a handful, and the large camera pod juts out of the device’s rear end pretty dramatically. Coming to the important part, the price, no idea what will it be in India & more importantly, when will it be available in India, but it is expected to be shoppable in Europe this year at Euro 450 "only". Seriously, the best startup to intern with is your own, none other can teach you as much as that. I just red this press release from the White House. I find it very interesting, especially some of the ways they are trying to promote entrepreneurship & small businesses & helping them achieve their American Dream. Paypal I used to love it. It was such a convenient way to accept payments from my international customers. They could pay me without disclosing their credit card details, they were comfortable with it & I could auto withdraw funds to my bank account in India, without any hassle. Now, the scenario is completely different. Now, Paypal tells me my PAN No. is invalid! The same PAN No. which can be verified on the Income Tax Department website, the same PAN that I have used for over 4 years to pay my taxes & as an photo ID for numerous train journeys & many other purposes, Paypal refuses to accept it. That is sad, because Customers still ask me if they can pay via Paypal, but now I cannot accept their payments, because of no fault of mine or theirs, but a fault of Paypal in their PAN verification. Moreover the issue is not simply just with me but numerous businesses in the country. If you google Paypal says Invalid Pan, you see a lot of search results. One big reason for this could be, sole proprietorship businesses in India, no sole proprietorship businesses in India have a separate PAN, they work under the PAN of their proprietor but they may have a separate name (eg. my company name is Jewelove but my name is Sambhav Karnawat) & it might be so, that Paypal is trying to verify the name of the company with the name of the PAN Card. Whatever the issue, Paypal should try to rectify it so that it can earn from Indian businesses again & so that Indian e-commerce business can receive payments from their international customers peacefully once again. 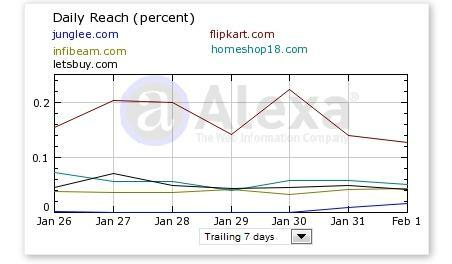 Junglee.com has over 16% of Flipkart traffic in 2 days without any ads! I found this infographic by Mahesh Murthy today. 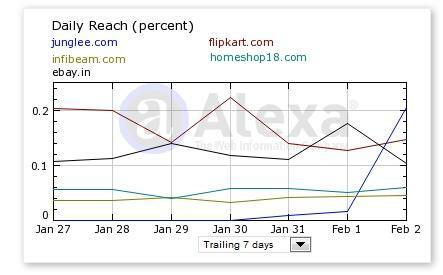 It clearly shows how Junglee.com has reached over 16% of flipkart traffic & close to 50% website traffic of infibeam.com, homeshop18.com & letsbuy.com (individually, not collectively, yet) in just 2 days, without any advertising that I know of! 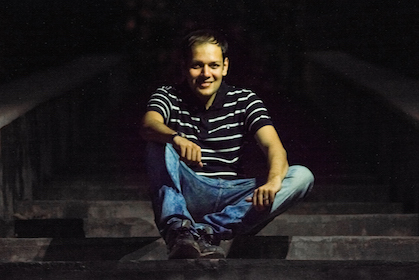 Seems, Junglee.com is up & running (wild)! Reinforces the views expressed at Why could Indian ecommerce startups partner with Amazon rather than compete with it? Moreover, what will be even more interesting is, what happens when they start their full-fledged advertisement campaign in India. Junglee.com used to be the official website of Junglee Corp. which Amazon took over alongwith AllPlanetCorps in 1998 for $280 Million. Junglee Corp, then based in Sunnyvale was a provider of database technology to help consumers find products on the Internet, also known as an aggregation & comparison shopping service. That is what Junglee.com used to be, as of right now, junglee.com is not a website functioning but the domain name still rests with Amazon. Trivia : Junglee means wild in Hindi & the late Shammi Kapoor maintained his website at http://www.junglee.org.in which is now maintained by his family. for example, flipkart.com, jewelove.in, letsbuy.com etc. 1. Why does Amazon need the Indian E-commerce merchants as partners? 2. Why would the Indian E-commerce merchants be interested in partnering with Amazon 's Junglee.com rather than compete with it? The second one is simpler to answer, so let's get to that first. investment) is not allowed in multi brand retail sector in India. Will we see a very popular Junglee.com pretty soon, what do you think? Further Information : What is Junglee.com?